RENO, Nev., Oct. 3, 2018 /PRNewswire/ -- NevadaNano today announced release of the new MPS Flammable Gas Sensor, the first gas sensor of its type able to accurately detect, quantify, and classify a broad array of flammable or explosive gases using a single calibration. That's not the only industry first: The MPS Flammable Gas Sensor is also able to measure the concentration of flammable and combustible gas mixtures and it can classify detected gases and mixtures into hydrogen, methane, or light/medium/heavy gas. "Our engineering team has developed a robust and reliable sensor to solve the problems that have plagued flammable sensors for decades," said Mark Brandemuehl, Sr. VP of Sales and Marketing. "With one calibration, the new MPS Flammable Gas Sensor delivers accurate measurement of 12 gases and provides stable, reliable results for years." The sensor can be installed in fixed and portable applications. The MPS Flammable Gas Sensor requires significantly less power than catalytic bead based sensors, while delivering accurate detection of hydrogen and other hydrocarbons not detected by NDIR flammable gas sensors. Thanks to its long-term stability and reliability, NevadaNano's sensor has a lower cost of ownership than catalytic bead type sensors. The MPS Flammable Gas sensor will not "poison" or stop working when exposed to common industrial chemicals, eliminating the need for frequent, costly manual calibrations. Even more important, workers can count on the reliability of the MPS Flammable Gas sensor to continuously ensure a safe workplace. NevadaNano will offer the new sensors in two industry standard form factors. The Series 7 MPS Flammable Gas Sensor (32 mm x 13.8 mm) is available for evaluation now; the Series 4 (20 mm x 16.5 mm) sensors are expected to be available for evaluation in December, 2018. For more information, visit NevadaNano.com. For images of the sensor, click here. 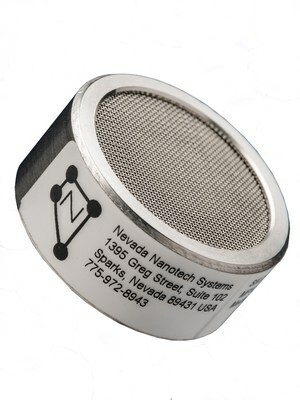 NevadaNano is the developer of the Molecular Property Spectrometer gas-sensing products that use Micro-Electro-Mechanical Systems (MEMS) structures to detect, identify, and quantify chemicals in the air. MPS gas sensors bring Digital Scent to the Internet and provide information about the air we breathe to ensure safer workplaces, healthier homes, and a better environment.